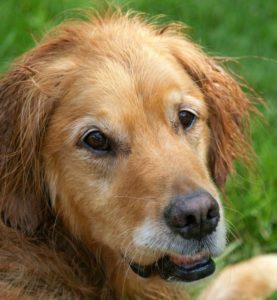 Older dogs require a lot of care and love in their golden years. 3 Tips for our Older Dogs for Health, Comfort, and Happiness. They are slower than they were in their boisterous youth, and they often have less energy and will potentially encounter medical problems as they get older. Older dogs may have any number of medical problems, such as cancer, arthritis, or osteoporosis. 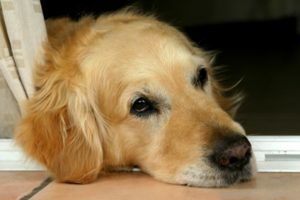 These issues are sometimes treatable and sometimes not, but either way, there are things loving pet owners can do to ensure their older dog has the best possible life during their later years. 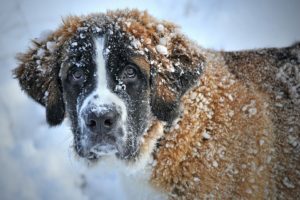 The same kinds of healthy habits that humans employ, or try to employ, to ensure long and happy lives, can be applied to dogs, and especially to older dogs. The main ingredients to a long and healthy life for a human ,or a dog companion, are quite simple: a well balanced diet, plenty of exercise and quality sleep. Having all three of these things will work wonders at making your older dog comfortable and happy for as long as they live. So what can you do to make your dog’s life happy, healthy and comfortable for as long as they live? Follow those three main tenets of good health: diet, exercise, and quality rest. Make sure your older dog gets the right nutrition for their body size , their breed, and for their age. Also make sure your older dog is eating the correct amount of food for their breed, body size and age. Many dog-food companies supply special dog formulas in their lines of dog food designed for the health of older dogs in particular. These older-dog formulas have all the ingredients an aging dog needs to be healthy and live longer. Be sure to monitor how much your dog is eating and don’t feed them too much. Many dogs don’t know when to stop eating. On the flip side of that, if you older dog begins to avoid eating, or eats less than they should be, consult with your veterinarian right away, before this habit causes health problems. The next thing to consider when thinking about how to keep your older dog healthy, happy and comfortable is whether or not your dog is getting the right amount of exercise. Regular exercise is essential to any dog’s health, but is even more important for the continued health of your older dog because he or she will be experiencing more stress on their body as they age. Make sure to get him or her out of the house on a regular basis and ask your local veterinarian about how much walking or running you should be encouraging your older dog to do everyday. The amount of running and walking will differ depending on your older dog’s individual needs, but what will remain constant is the need for any type of dog, of any age, to get regular exercise that is enough to keep their muscles strong and their heart active.